MSE walls are routinely constructed without adequate drainage or compaction, using widely-spaced reinforcement and low-quality, on-site clay soils. 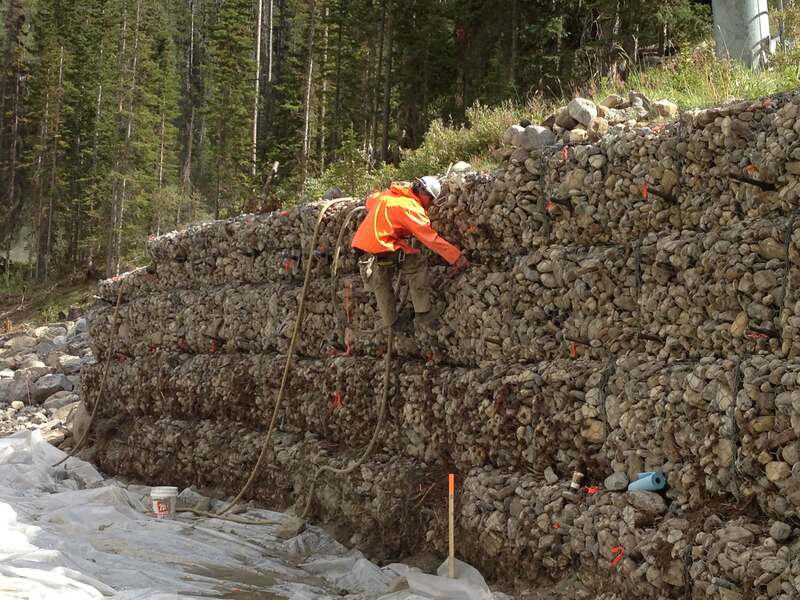 Gabion walls are commonly built with improper base-to-height ratios. Steel pile walls are often designed without a full understanding of the brutal forces that active landslides can place on those structures. Historic rock walls across the continent are well past their service life. When these walls start to fail, GeoStabilization International® can provide turn-key solutions. 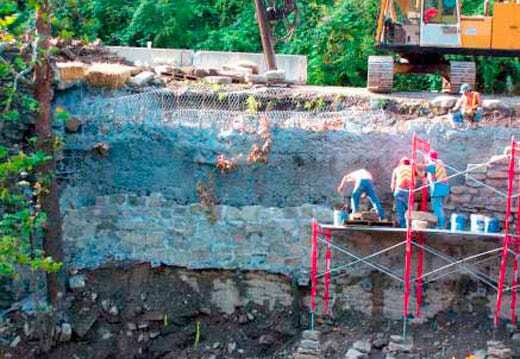 GeoStabilization has repaired more MSE, Gabion, Pile, and Historic Rock Wall failures than any other geohazard mitigation contractor on the continent, and has developed a suite of specialty tools and equipment to repair those structures in place, without need for significant excavation and complete replacement. That translates to cost and time savings and minimal impact to surrounding roadways, structures, and residents. 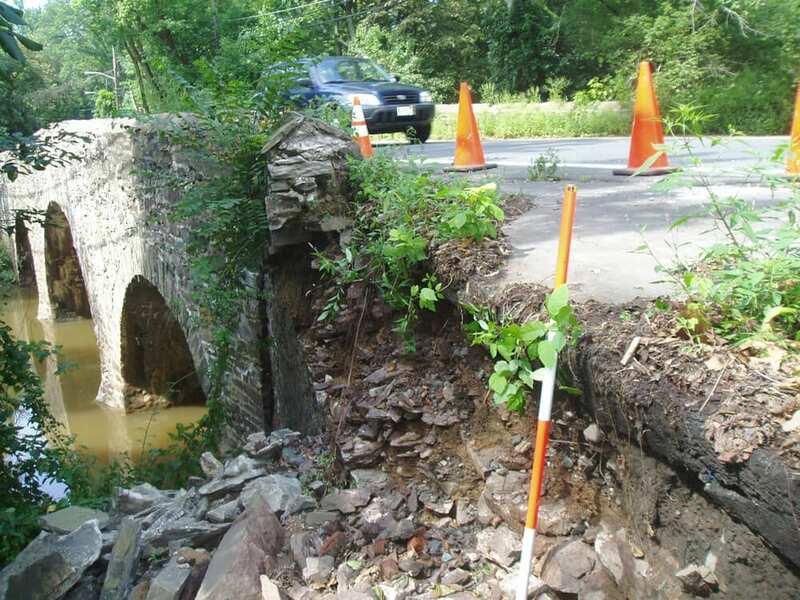 GeoStabilization also employs a group of skilled masons that are trained to emulate a wide variety of historic rock stacking patterns, and GeoStabilization’s engineering team is experienced in working with local historical societies. Our team of design engineers, operators, and skilled masons can repair and restore even the most deteriorated of rock walls. If the facing is mostly intact, an array of SuperNails™ can provide reinforcement. 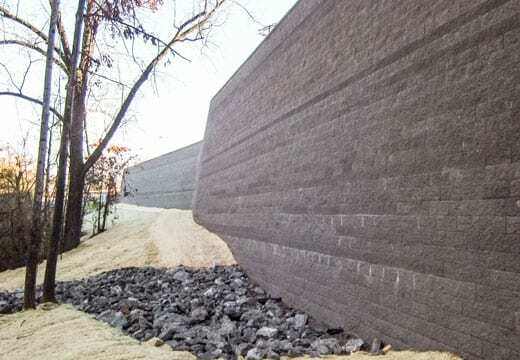 If the wall has deteriorated badly, a combination of permanent stabilization and skilled restacking of the salvaged stone can return the wall to its original appearance.